Retail $4.40 SAVE 29% ! "You want to talk handy this is it as well"
You want to talk handy this is it as well with this size of even some of the smaller drum sander&apos;s you can cut more time down on rounding out hole&apos;s in wood or if you need to make a wheel opening a littel bit bigger for a model so you can slide them great looking slick&apos;s under the fender . There are alot of thing&apos;s to use this product . 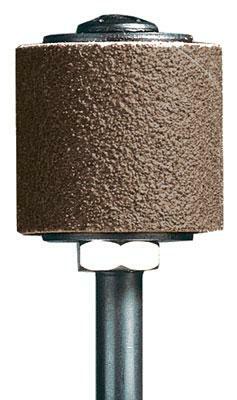 A cylinder covered with aluminum oxide abrasive that sits atop a mandrel. The band covering the cylinder is coarse 60 grit.